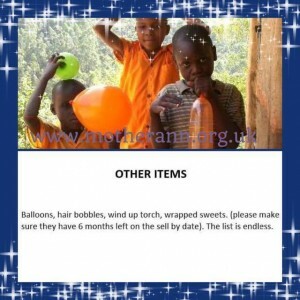 This year we are appealing to you to make a shoebox up for the poor children I visit in Uganda. 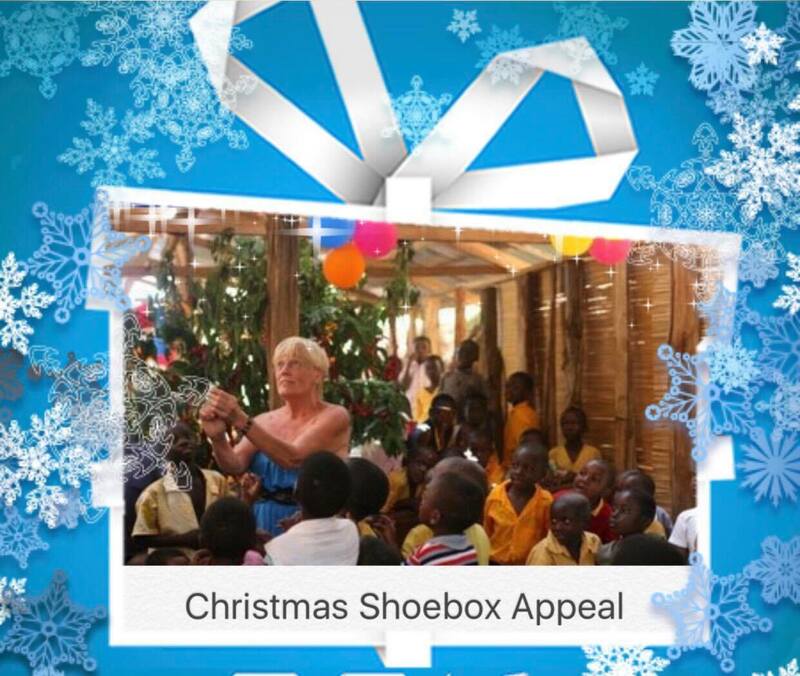 For every person that makes a full shoebox up a little Christmas gift will be sent to you, thanking you from the Children. 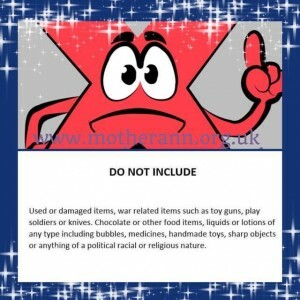 Lets make some children very happy this Christmas , remember some of these have never had a gift. I will try to get photos of the Children receiving the shoeboxes. 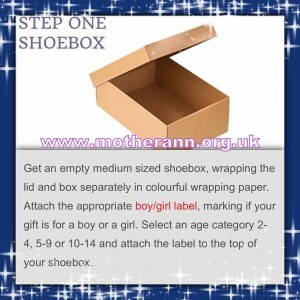 Below are some ideas to help you fill your shoebox, you could also add a little note or a picture of your family . If you have enjoyed visiting this web site and wish to help please donate any amount by clicking on the 'Donate' button below. 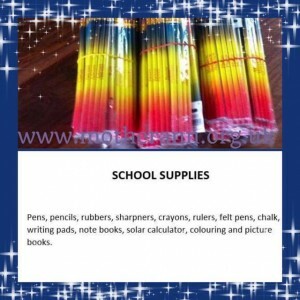 £1 will buy 20 pencils or feed a family for a day. £3 will buy second hand shoes. £5 will buy a school shirt or dress. £5 will buy a chicken. £8 will buy a piglet.